With its curved front panel, the VISION 260 is an expression of elegance and masterfully sets the stage for the living image of an aquarium. At 121 cm wide, the VISION 260 offers you a lot of room for creativity. 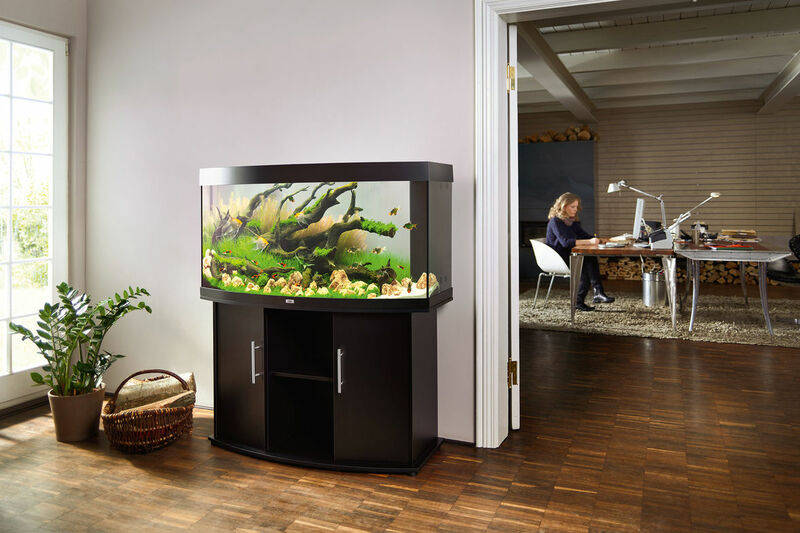 The safety base frame ensures especially safe positioning and allows you to set up your aquarium easily, with no need for special supports. Painstaking workmanship from Germany, top-quality materials and perfectly tuned technology guarantee the very best of quality and safety, meaning a long service life for your VISION 260. Choose from black, dark wood, beech and white. Brilliant luminosity and excellent plant growth are what you get with HiLite, the state-of-the-art T5 lighting technology from JUWEL. 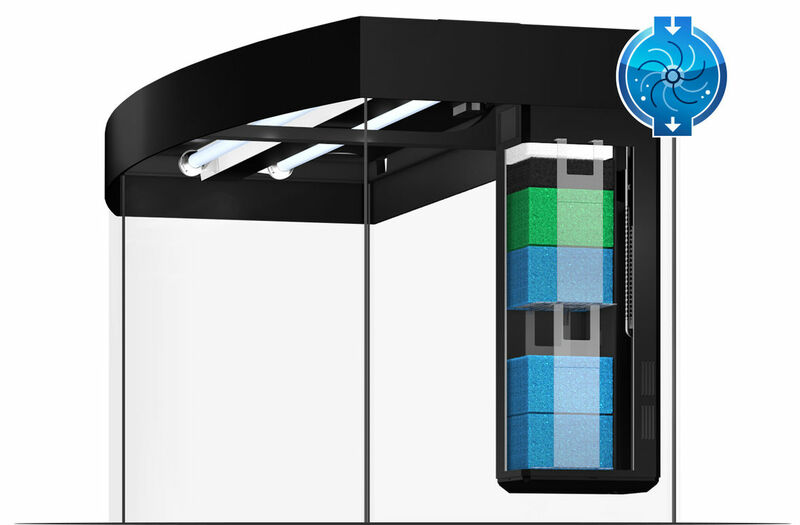 The length of the HiLite fluorescent tubes is individually adjusted to the size of your JUWEL aquarium, which guarantees even luminosity for your VISION 260 with a power input of 2x54 Watt. 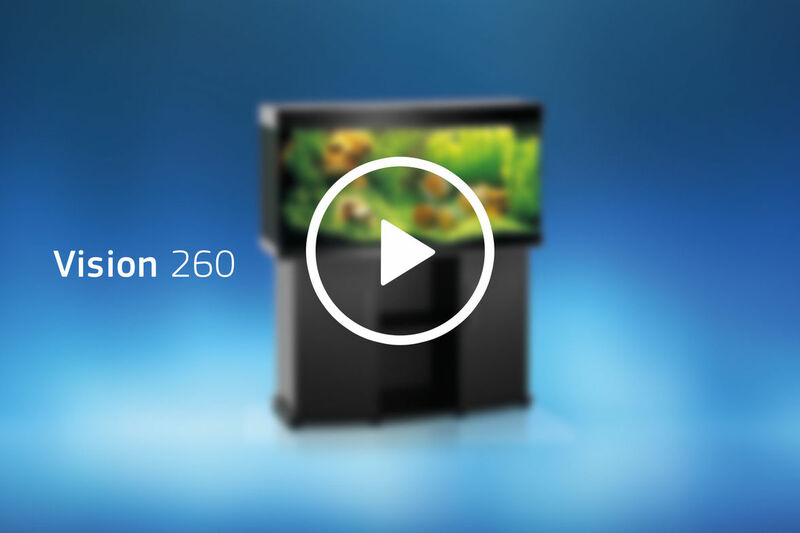 The HiLite lighting system for the VISION 260 means that you can work on your aquarium in comfort, even when the lighting is switched on. 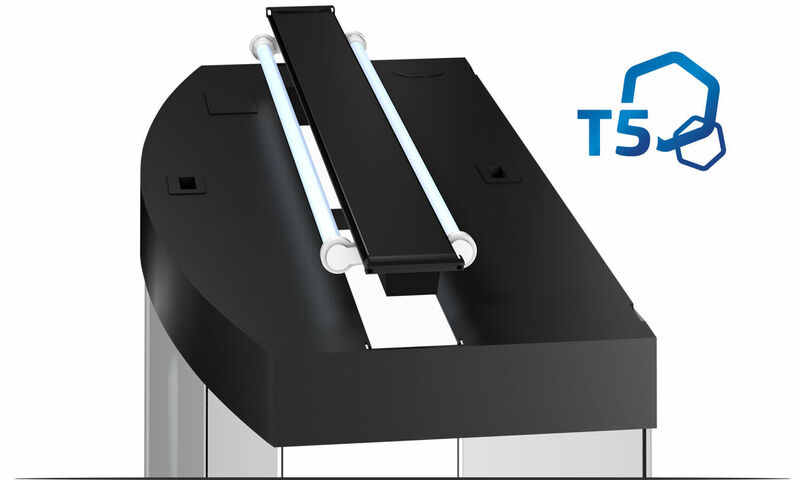 The ultrasonically welded lighting unit is 100% waterproof, complies with top European safety standards and is TÜV/GS certified. 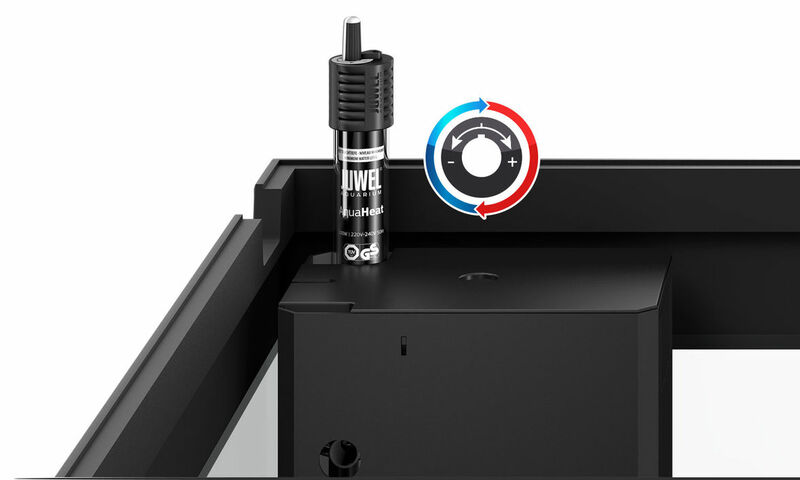 For optimum filtering, the VISION 260 is fitted with a high-performance Bioflow L. This internal filter combines efficiency with safety and forms the centrepiece of any JUWEL aquarium. It works on the principle that "The water should stay in the aquarium!" and is the safest way of filtering an aquarium. The Bioflow L comes fitted with five high-performance filter media and a quiet yet powerful Eccoflow 1000 circulation pump. The 300 Watt JUWEL adjustable heater, which is perfectly embedded in the water circulation in the Bioflow L filter system, ensures the right temperature in the VISION 260. 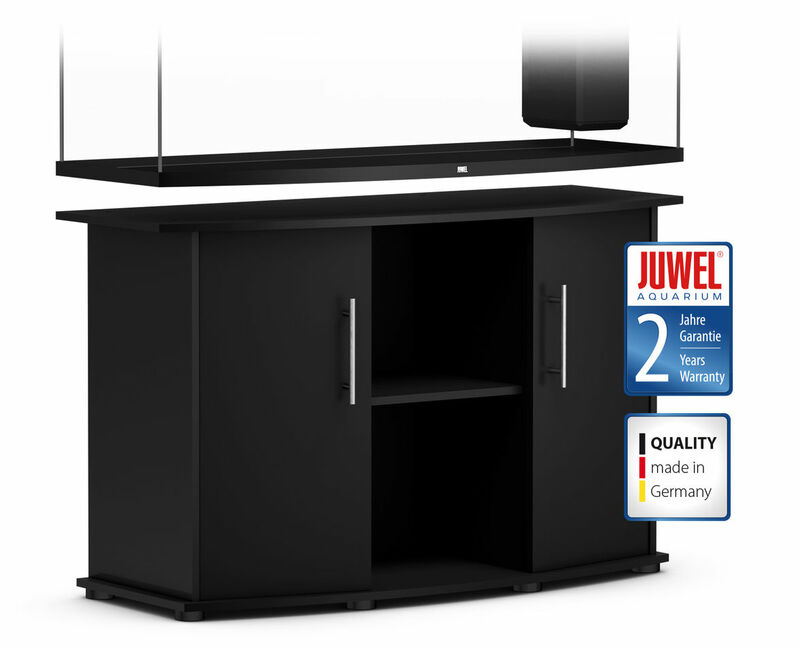 Because it uses top-quality silver contacts and shock-proof borosilicate glass, JUWEL adjustable heaters meet the highest standards in both function and safety and, as you would expect, are TÜV/GS certified. 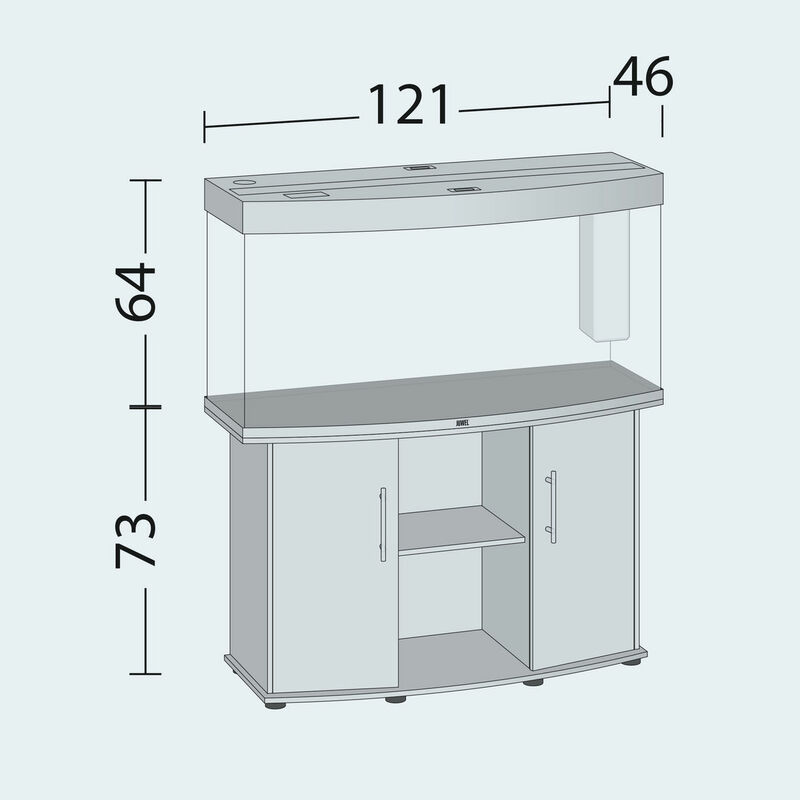 With the matching base cabinet, your aquarium will stand safely on solid ground. 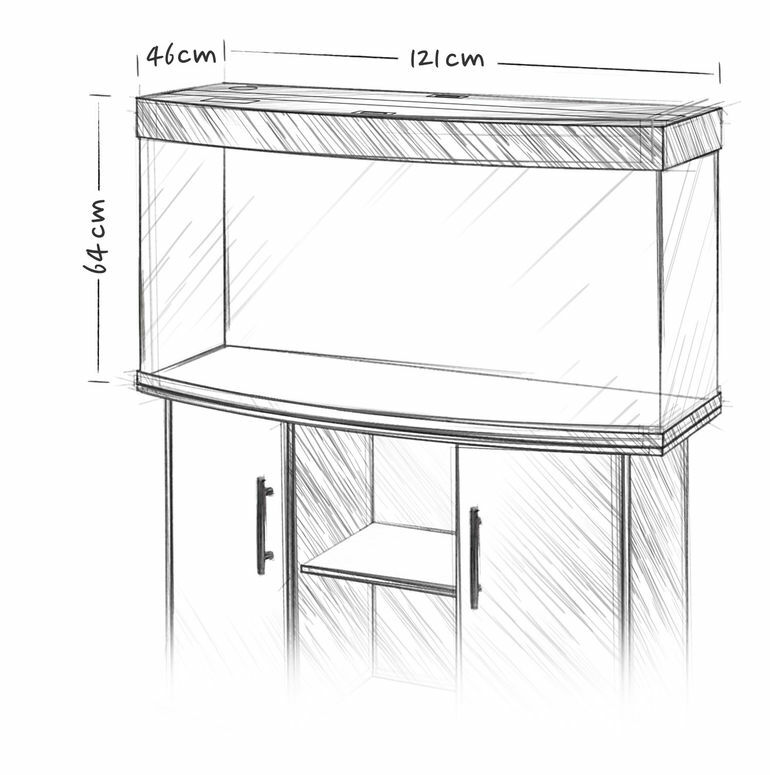 The two of them also make the perfect pair from a visual point of view, as the base cabinet is available in the same colour as the aquarium. Easy to assemble with generous storage space for accessories and equipment, they also leave nothing to be desired from a practical point of view. In fact, all that is left for you to do is simply to enjoy your beautiful style accessory every day!